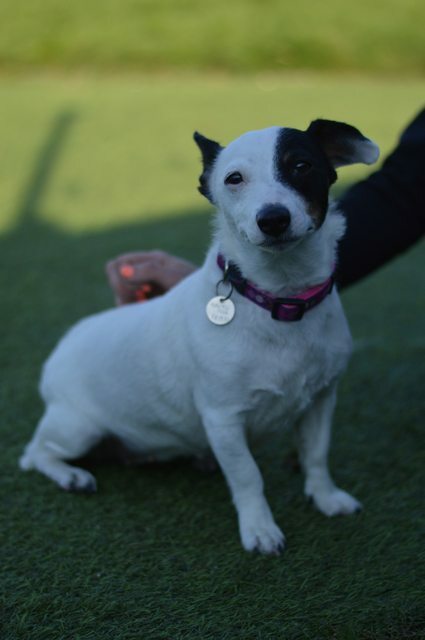 Tilly is an 8 year old female Jack Russell Terrier. Timid little Tilly has sadly found herself in our care due to the death of her beloved owner. Poor Tilly’s whole world has been turned upside down and she is understandably upset to find herself in kennels. During her first couple of days with us Tilly was very fearful and it did take some time for the staff to build her trust. 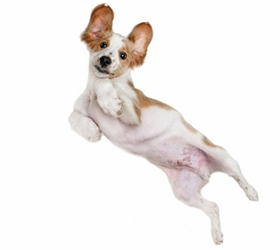 We believe she is more confident with women and would benefit from a female owner. Tilly had been with the same (female) owner since she was a puppy and would sometimes be protective of her, especially as her health started to deteriorate and carers came into the home to assist. 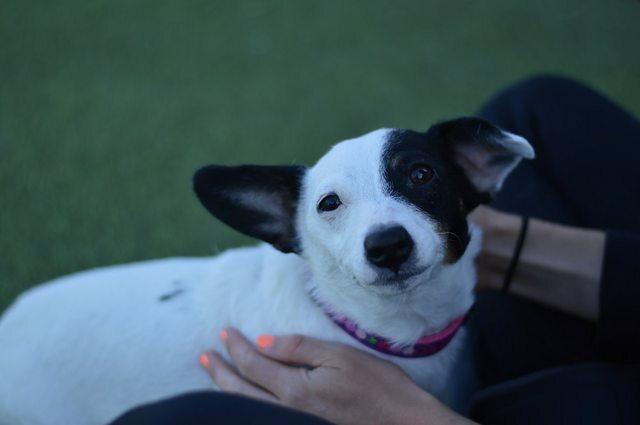 She is a typical Jack Russell Terrier who can be vocal when she is unsure of new people, however once she has bonded with you she is a sweet girl who likes tummy rubs. Our heart breaks for this scared and confused girl who is desperately seeking some stability. She will benefit from a kind, gentle owner who will take time coming to the rescue to build a bond with her before adoption. She has not had much socialisation with other dogs and will chase cats so we are looking for a home where she can be the only pet. Due to Tilly’s nervous temperament she will need an adult only home without any young children visiting, and preferably with someone around for most of the day.